We are nearing the end of the Club Level Series with two deluxe resorts left to cover and so I decided Animal Kingdom would be next! We at DoleWhipped have two Dole Whippies that LOVE Animal Kingdom Lodge. It is one of my favorite resorts and so much to do. It is the best themed resort, in my opinion, and who does not love a glass of wine in the evening and hanging out with a friendly giraffe on your balcony? If you have not tried it yet go for it! It is heaven. If you need even more luxury at Animal Kingdom then go ahead and splurge and go Club Level. Animal Kingdom Lodge’s club lounge is aptly named the Kilimanjaro Club and is located on the 6th Floor of Jambo House. The lobby is a huge atrium and it is located on a landing on the 6th floor and overlooks the lobby and it is only accessible by club level and suite guests. The Kilimanjaro Club literally just finished refurbishment and was done in May 2016 so best time to visit is now. There are about 70 Club rooms and there are also suites available. The club level rooms are very similar to the standard rooms at Animal Kingdom and located on the Fourth Floor. One thing special and unique is if you are a Disney Vacation Club member you can trade in your points and upgrade to a Club Level Room at Animal Kingdom Lodge. This is the only resort that has this as an option. There previously were a few different special things that Club Level at Animal Kingdom or even just staying at Animal Kingdom afforded you. Certain things like the Night-time safari and Wanyama Safari but all of these have recently changed to be open to any Walt Disney World guest. The lounge food – it in itself is a HUGE bonus at the Kilimanjaro Club because when it gets down to the good food for evening hours they bring it in from Boma and Jiko so you are in for a huge treat. The morning offerings and afternoon snacks are a bit of the usual club level offerings but the lunch, dinner and evening desserts are where it is at! Yes, even zebra domes make it to the dessert table at the Kilimanjaro lounge! The amazing part of all of the food is it is, as always, complimentary to Club Guest. If you are someone not sure about trying these restaurants – this is a great way to get a taste and realize these are amazing places with some of the best food on property! 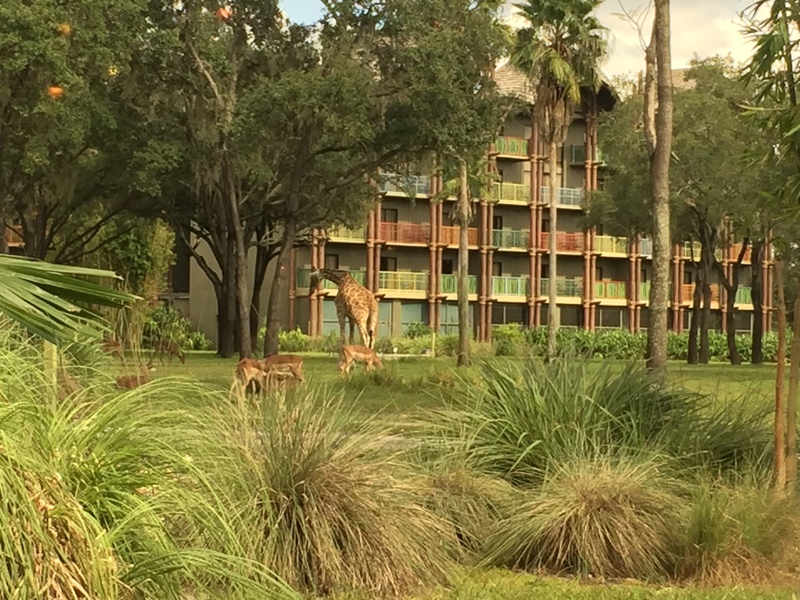 This entry was posted in Disney World, Uncategorized and tagged Animal Kingdom Lodge, Animal Kingdom Lodge Club Level, club level, Disney Club Level, Kilimanjaro Club by Tara. Bookmark the permalink.